I thought I was sore before, yowzas. I can’t mooooveee. I postponed today’s 3 mile slog due to soreness and having yoga this morning, but tomorrow I’m back at it. I guess my rest day was today, not Friday. Look at me chaining the rules up already, loveee it. Snack: handful of strawberries and a small apple. 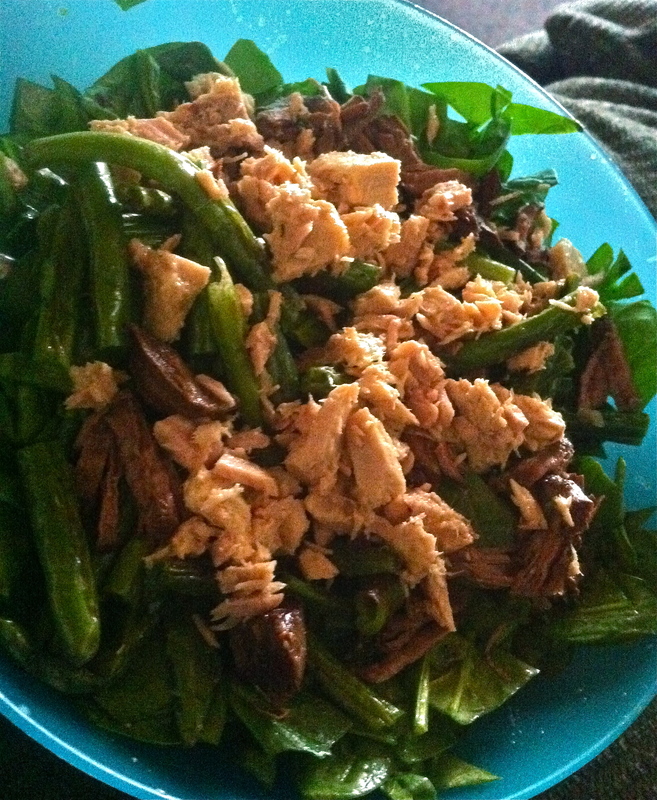 Lunch: spinach, roasted green beans from last night, a leftover korean beef short rib, and some tuna mixed with mustard. After I ate I went back to work and totally forgot to drink my kombucha I had bought for work. Lame. I was supa hungry after work so I got cooking on dinner. 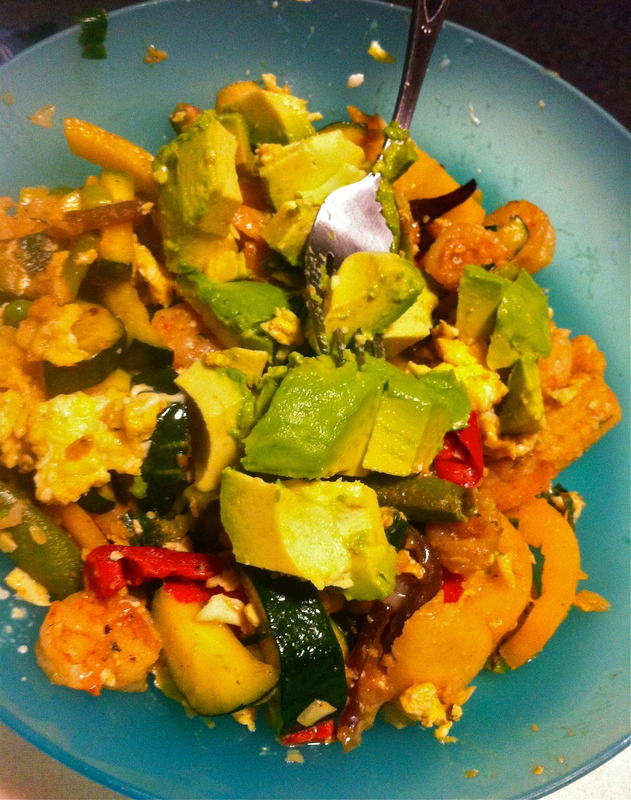 Dinner: stir fried bell pepper, zucchini, and frozen asian vegetables in some coconut oil. In went some garlic, green onions, ginger, shrimp, toasted sesame oil, fish sauce, and coconut aminos. topped off with half an avocado. DELISH. This was SUPER easy, I didn’t measure a thing. grabbed a bunch of garlic cloves, splashed in a little bit of fish sauce, a little more more coconut aminos, and a little bit more sesame oil. 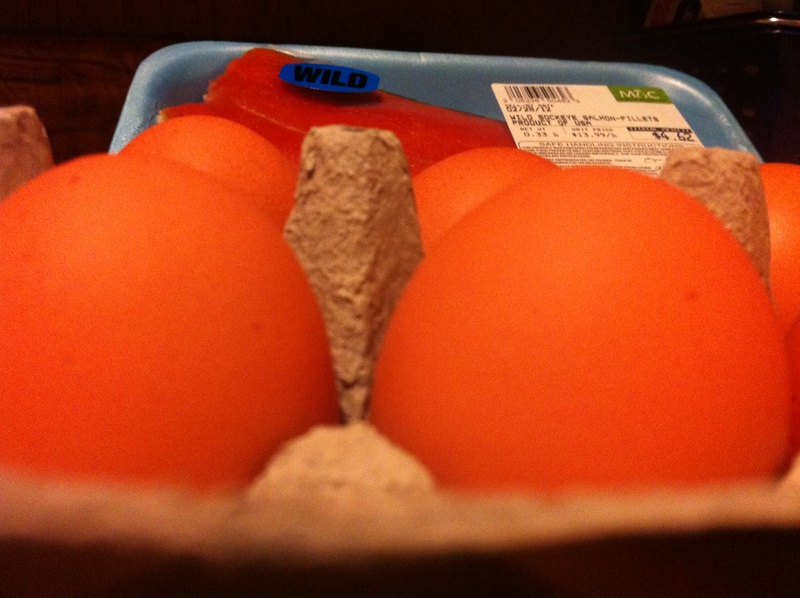 Oh, there was also some scrambled egg in the mix. I stole it from Cj’s dinner. True love allows food to be stolen. Fact. 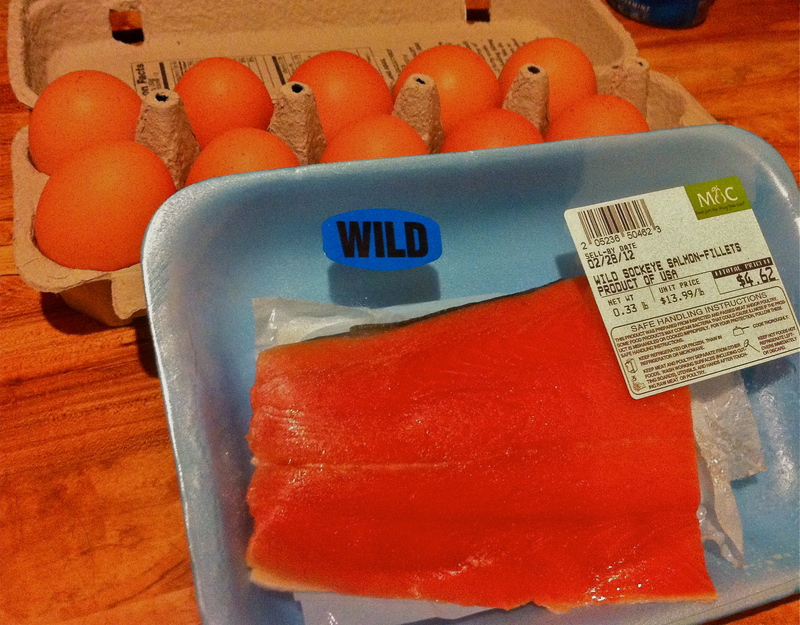 He had a serious hankering for a salmon egg scramble, so we picked some up. Ewwwww.